Woo offer you to leave one week in Guadeloupe for a workshop through a multitude of Downwind adapted to every level. Thanks to this « package », we offer you the possibility to practice OC in the best conditions ! Find all informations of the Downwind Camp (dates and prices 2019) in the brochure. Dates are also specified in the Pre Booking form below. Guy Ringrave will support you throughout the course of your training. 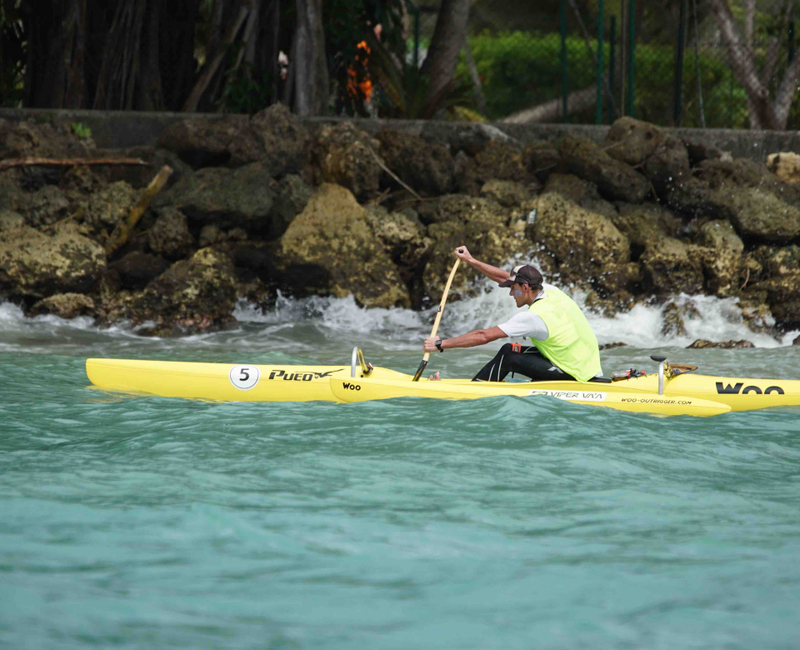 Passionate about outrigger canoeing since 2005, Guy is one of the pioneers of the sport both in France and in Europe. His passion has led him to the production of outriggers, which he manufactures under the brand name WOO. 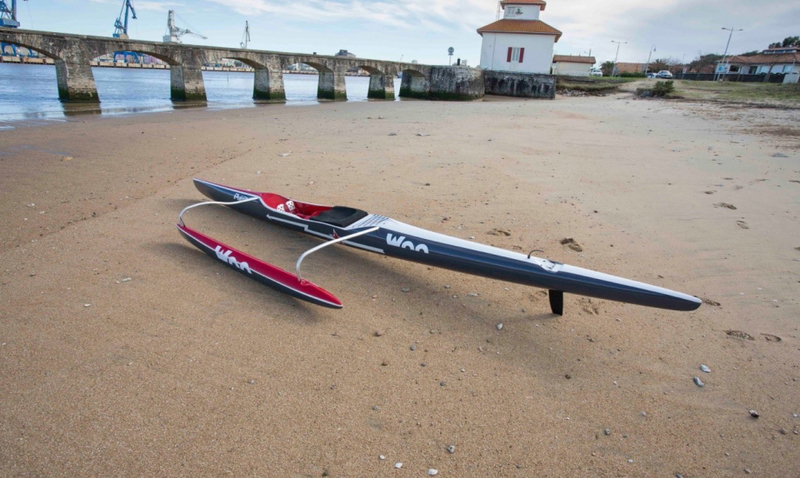 Today, WOO’s outrigger canoes are considered the highest-performing models on the market. 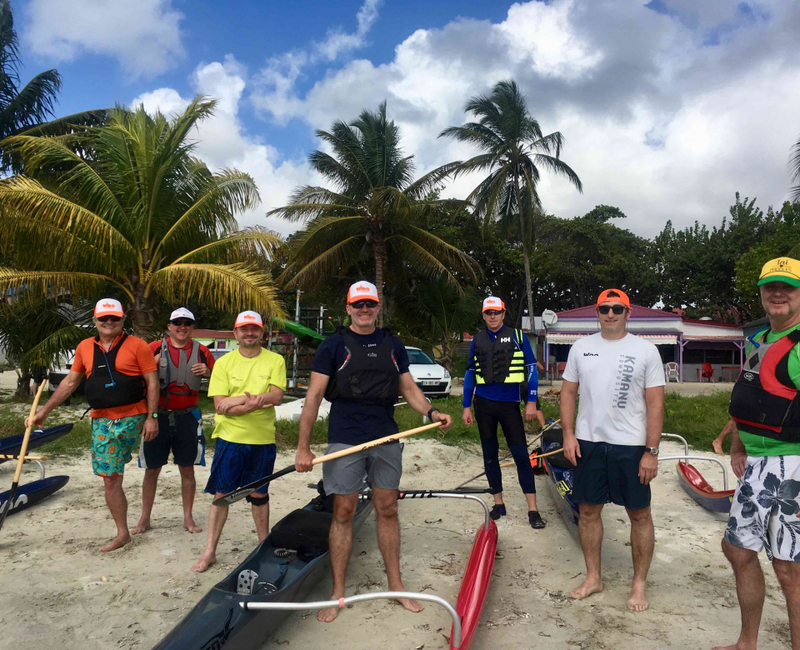 Benôit Arribat your second coach paddle outrigger canoe in conmpetition since 2012. The rest of the year, Benoît is the physical and mental coach for the Olympique French sailing team. He can set up a program of muscular strengthening suited to your need for the duration of the Downwind camp ! Whether you come by yourself or in couple, we propose a lodging option suitable for your needs. «La Villa Panoramak» is located at 300m from the beach next to the Saint François golf. Spacious and roomy (surface of 249m² and au tropical garden of 5000m²), the villa offer you an incredible view and many aeras to relax yourself after the Downwind , as a 20-metre overflowinf swimming pool). All bedrooms are large with panoramic view. 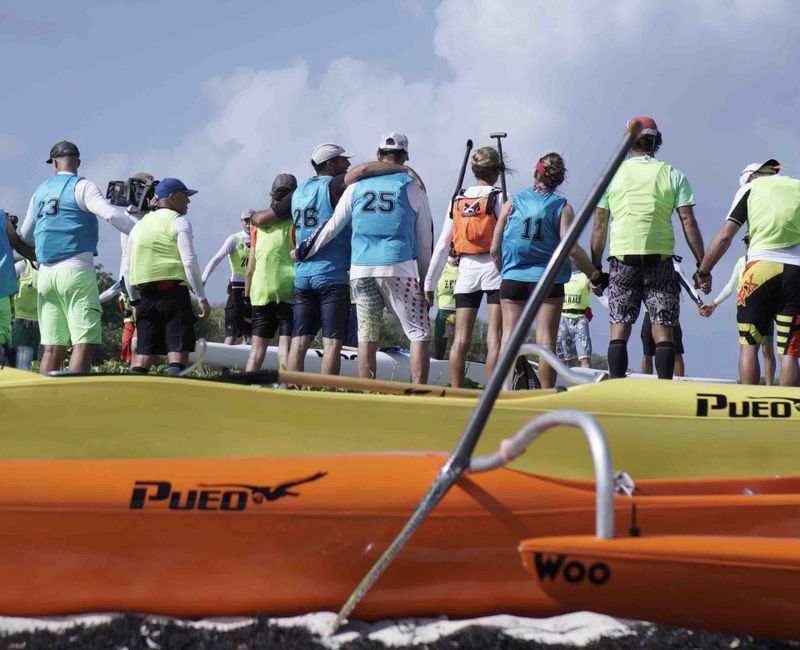 The Pueo is an outrigger canoe we don't need to present anymore, every paddlers knows the Pueo is THE star of the contests. Its creators, Kamanu Composites, wanted it to be produced in the Hawaii Islands, so they control both the building processes and the after sales service. 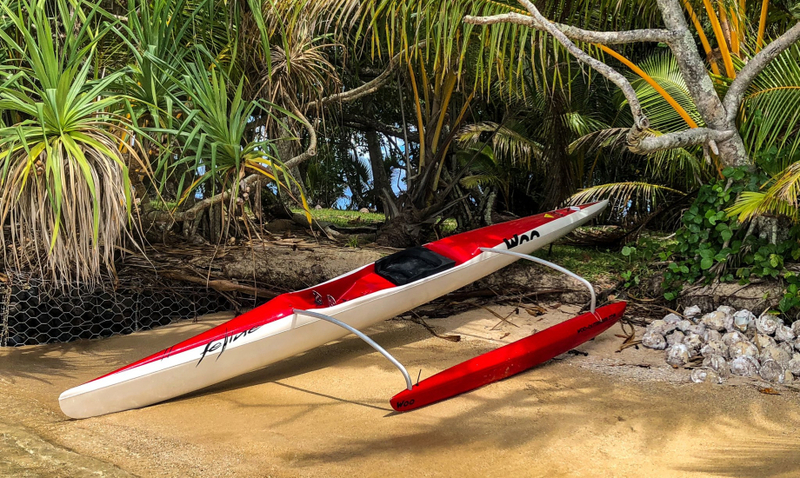 The OC2 is the perfect combination of the most up-to-date developments in Hawaiian outrigger canoes and our experience manufacturing the finest Hawaiian and Polynesian pirogue models. 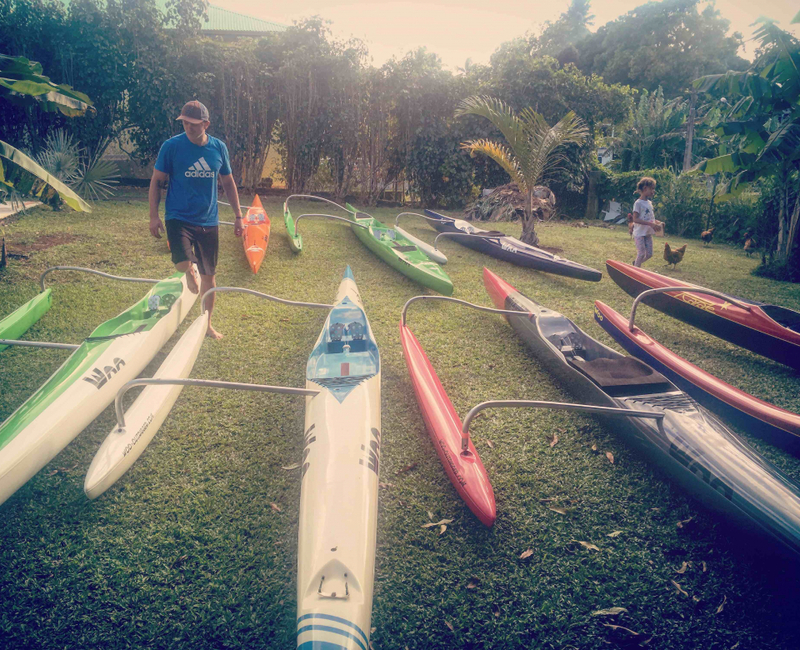 This workshop aims to allow you, within 6 days, to get accustomed to the outrigger, to acquire the paddling techniques and to start getting initiated in the practice of downwind. 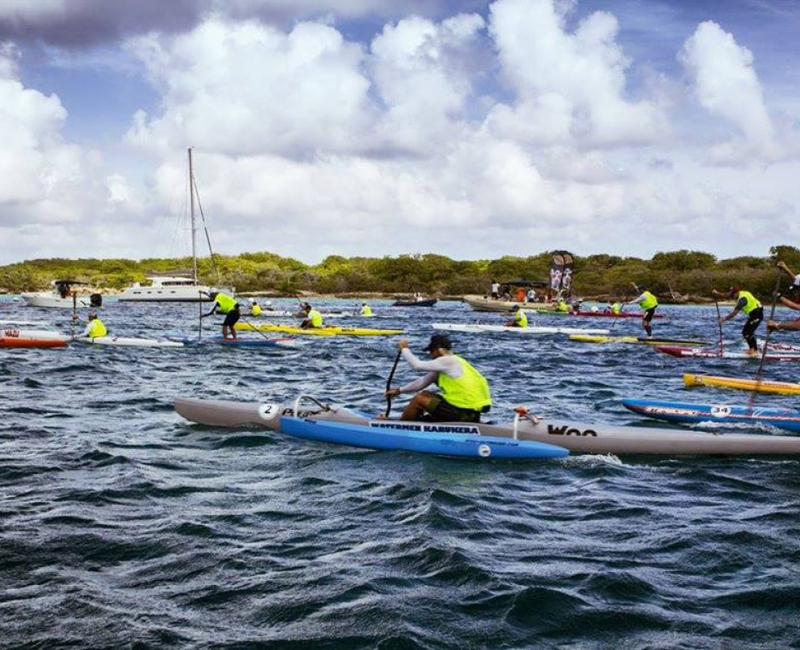 You will paddle the world champion outrigger. Made of carbon, it weighs no more than 22 pounds/10 kilograms for its 20.7 foot/6.30 meter length. DAY 2: Paddling technique lesson, how to ease the outrigger while paddling, tour departing from the hotel beach. 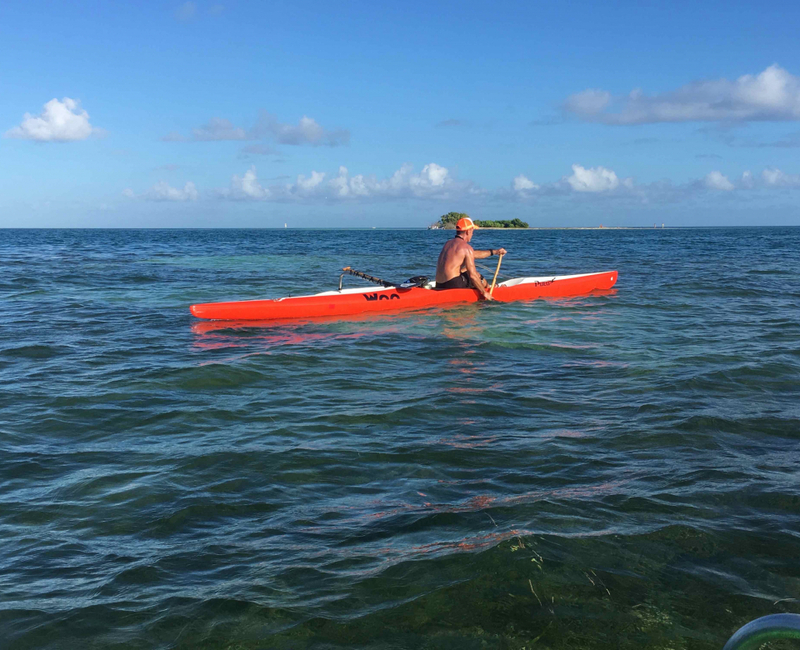 DAY 3: Depart for a trip in the mangrove where you will discover the immense diversity of fauna and flora all while perfecting your paddling technique. Meet at the parking lot of the hotel to leave in a minibus for Basse-Terre. DAY 4: Depart for a trip to discover the Caouane islet in the lagoon of the Grand Cul-de-sac. First sensations of the surf carried by the tailwinds. 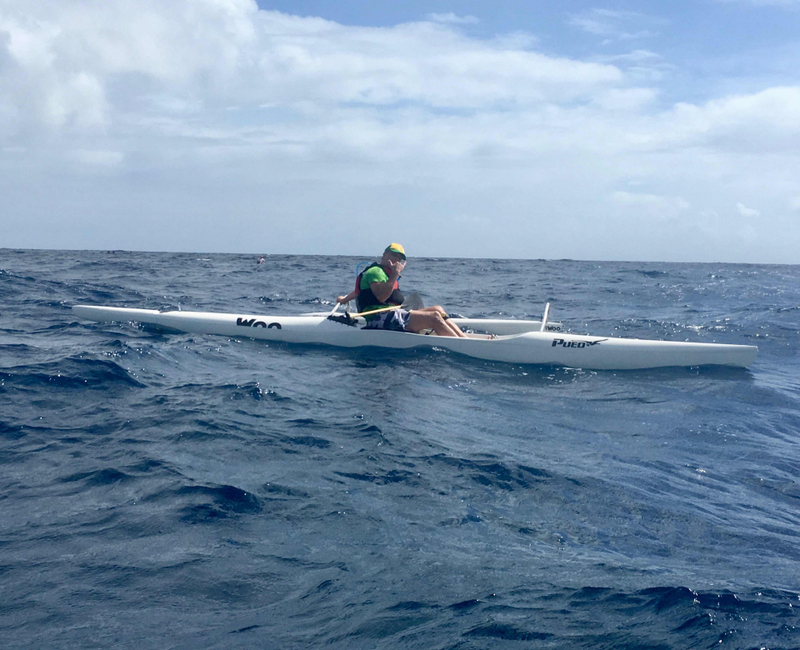 DAY 6: Depending on the conditions and level reached, return to St Rose or the more challenging downwind (blue route) on the Atlantic coast south of Grand Terre. LEVEL REQUIRED: This week-long workshop is aimed at people who are physically in shape. No need to be a high-level athlete but practicing an endurance sport is recommended. 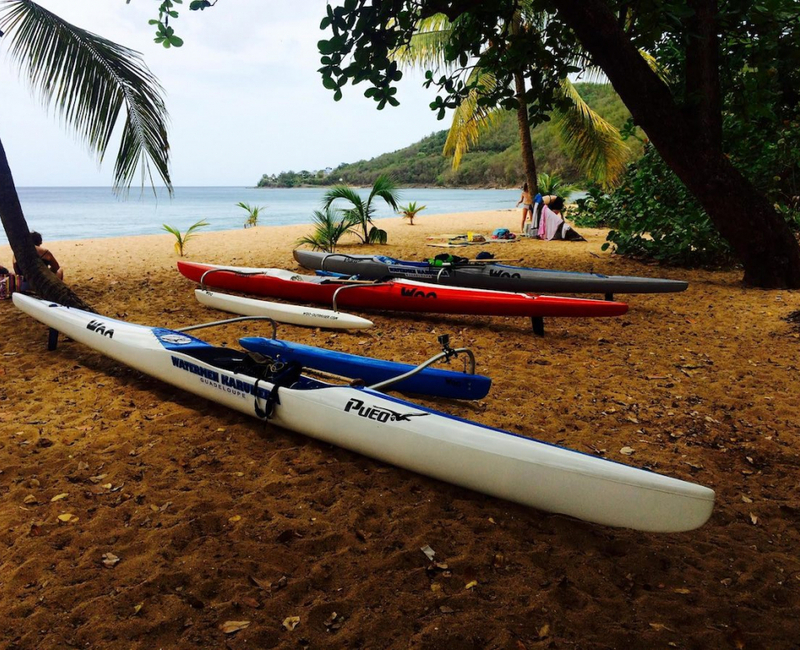 If you regularly jog, cycle, mountain bike, swim or are adept at boardsport such as windsurfing, snowboarding, skating, etc… You will be awed by the sensations which outrigger canoeing offers. 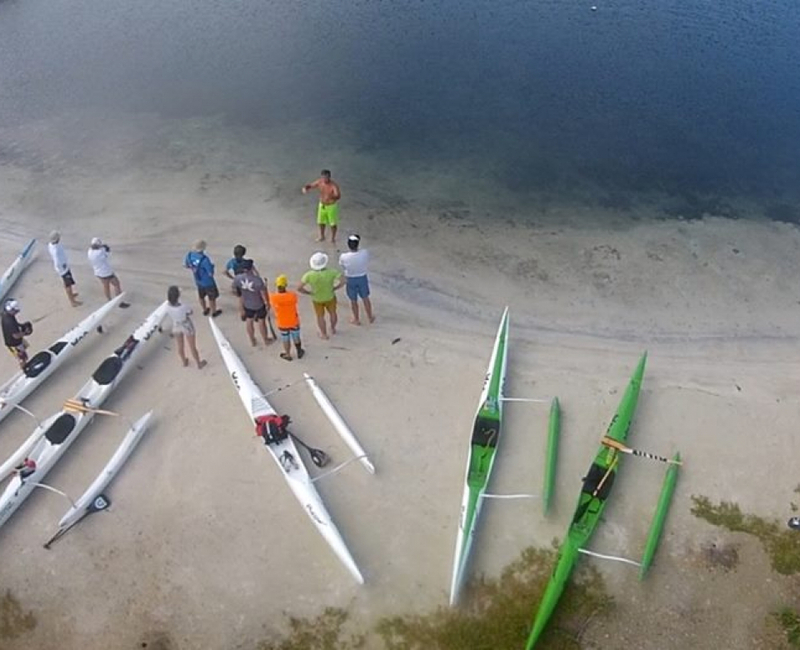 You are the owner of an OC1 or you practice regularly in a club and you wish to begin the downwind practice in complete safety, then this workshop is for you ! DAY 2: Shuttle bus to St Rose. First downwind in the lagoon of the Grand Cul-de-sac: 9.3 miles of rolling turquoise waters to Deshaie. Wild ! DAY 3: Shuttle bus to Petit-Canal in the Grand-Cul-de-sac lagoon. 12.5 miles of rolling water until St Rose and its mangrove. 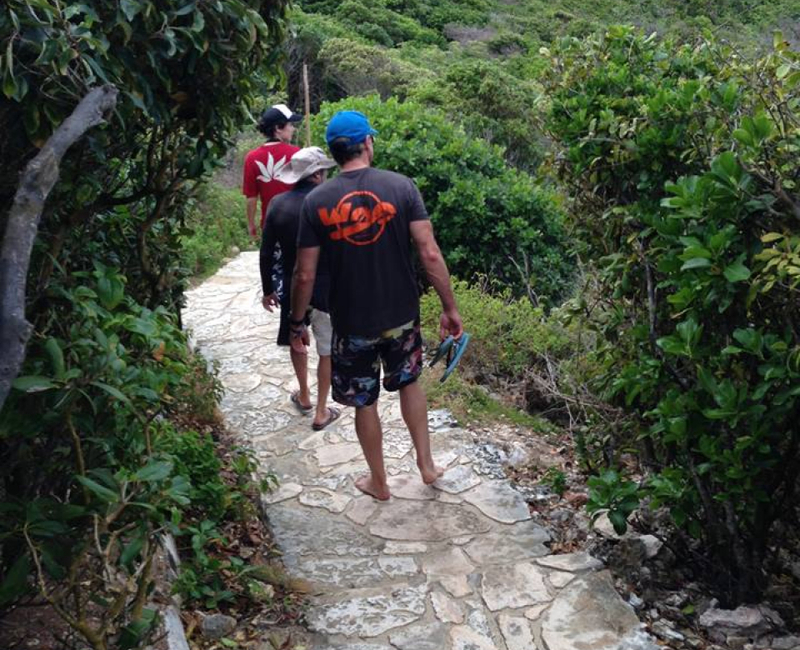 DAY 4: Shuttle bus to Pointe des Chateaux, situated at the endpoint of Grande Terre. 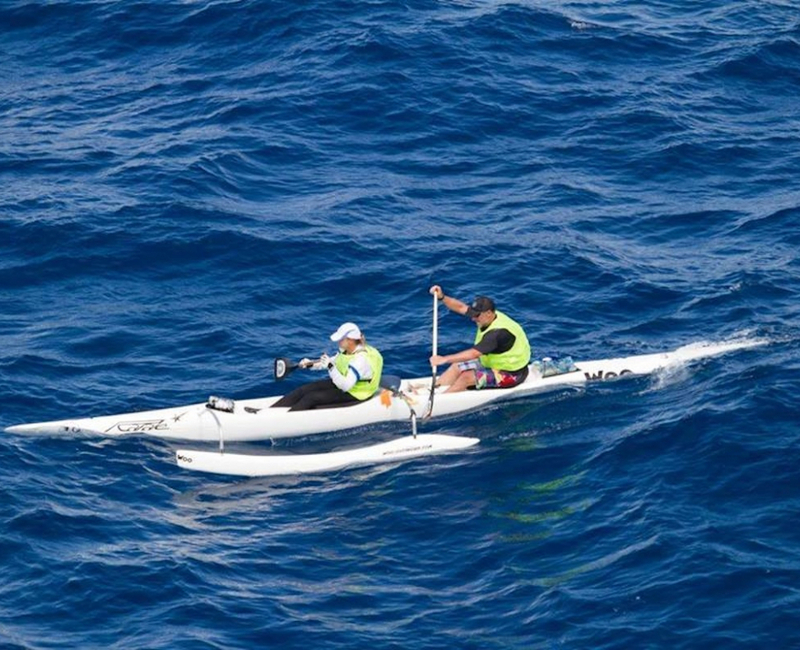 Downwind on the ocean until Saint-François: 9.3 miles of training in cross swells. Learning to stay the course. DAY 5: Shuttle bus to St. François. Downwind on the ocean until Saint-Anne. 15.5 miles. DAY 6: You get to choose: return to the rolling waters of the lagoon of the Grand Cul-de Sac or Downwind on the ocean ! LEVEL REQUIRED: You must be capable of paddling 12.4 miles at an average speed of 5 miles/h (8km/h) minimum. You are a « committed » fan of Downwinds and you wish to take advantage of regular winds to cover maximum distances each week. 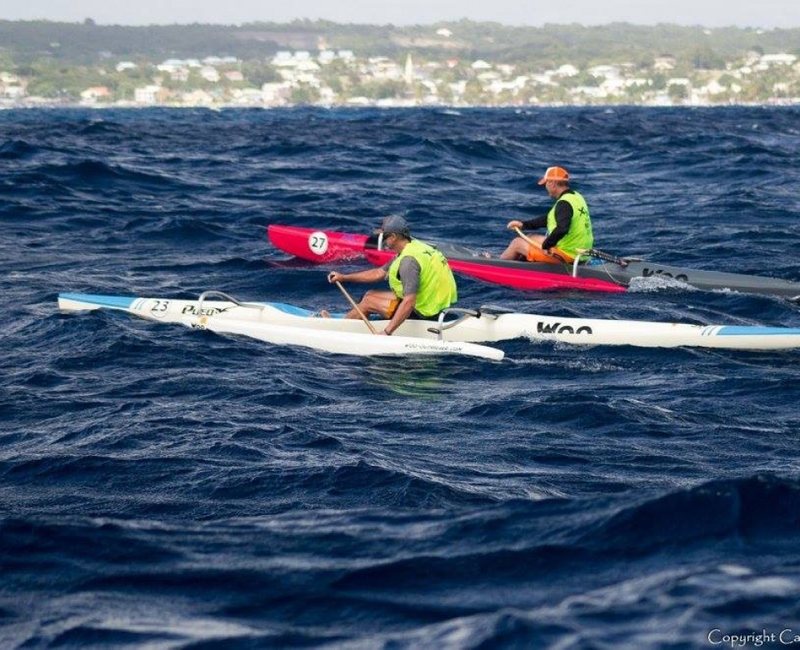 You would also like to join local paddlers on downwind races on the weekend. Priority given to downwind. Each day will be organized in accordance with the wind conditions and discussed with all of the workshop participants. Aim: 12.4 to 18.6 miles of downwind each day and participation in local races.